After that admission, (and would it really be inadvertent?) 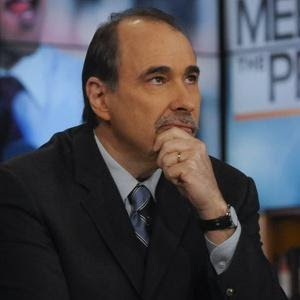 it's doubtful that David Axelrod will have another chance to produce a brilliant winning campaign for Obama, but maybe it would be just as well. The Yes we can idea has dated so much it sounds almost as bad (and as non committal) as Le Changement est Maintenant. In both cases they are impossible to follow up satisfactorily (especially after negative results or unfulfilled promises). The lameness of Well we might still be able to if we are willing to give it another go.. wouldn't inspire the necessary confidence. Or, assuming the media and the poll organisers have their own way, and an over-inflated Hollande is launched to reign over France, to France's costly detriment : Le Changement a eu lieu, je n'ai rien promis de plus, et ce résultat n'est pas de ma faute, wouldn't be a winner either. In both cases one would have to conclude that they were planned as unrepeatable opportunities only. As far as Holland is concerned, that's all he would want. Speaking of the Truth with a an unambiguous capital T, and of "dying by the sword" the USA is now essentially a permanent warfare state, or as Andrew Bacevich pointed out "war IS us". Put in another way every minute fraction of US "culture" is now pervaded and patterned by the "values" of the military-industrial-"entertainment" complex or quite literally a "culture" of death. Ironically, tragically, those on the so called "conservative" side of the culture wars divide are very loud supporters of this situation, including and especially, "conservative" religionists.